Sgt. Jeremy R. Wright, 31, was a Special Forces communications sergeant assigned to 2nd Battalion, 1st Special Forces Group (Airborne) at Fort Lewis, Wash. He was killed in action while supporting Operation Enduring Freedom on Jan. 3, 2005, when the enemy IED exploded near his Ground Mobility Vehicle during operations in the vicinity of Asadabad, Afghanistan. Wright deployed to Afghanistan in November 2004 in support of the Global War on Terrorism. A native of Shelbyville, Ind., Wright enlisted in the Army in November 2001 under the service’s then brand-new Special Forces Recruiting Initiative, a program that enables civilian recruits to volunteer to attend the Special Forces Assessment and Selection Course shortly after their completion of Initial Entry Training as infantrymen. Previously, only currently serving Soldiers could volunteer to attend SFAS. After entering the Army in April 2002, he completed infantry and airborne training at Fort Benning, Ga., and in August 2002 was assigned to the 1st Special Warfare Training Group (Airborne) at Fort Bragg, N.C. Wright attended SFAS in September 2002 and was selected to continue his training as a communications sergeant in the Special Forces Qualification Course. 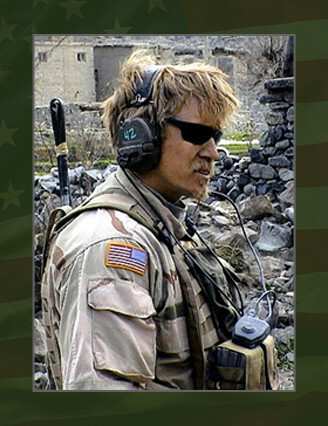 Wright began the Thai Language Course in November 2003 and completed the SFQC in July 2004 after completing the Survival, Evasion, Resistance and Escape Course at Fort Bragg. He was assigned to the 1st SFG in August 2004. His awards and decorations include the Purple Heart, the National Defense Service Medal, the Global War on Terrorism Expeditionary Medal, the Global War on Terrorism Service Medal, the Noncommissioned Officer Professional Development Ribbon, the Army Service Ribbon, the Parachutist Badge, the Combat Infantryman Badge and the Special Forces Tab. Wright was a 1996 graduate of Wabash College in Crawfordsville, Ind., and was a two-time All-American cross-country runner there. He was also a three-time member of the U.S. Mountain Running Team and was the Indiana state high school champion in the 3,200-meter run. Wright is survived by his father, Dale Wright, of Flat Rock, Ind., and his mother, Jacquelyn Nickel, of Shelbyville, Ind.